NHL News : Red Wings prospect breaks a puck in two during a game! Red Wings prospect breaks a puck in two during a game! How did he pull this off?! We can all appreciate some crazy hockey play and to hear that a puck actually broke in half is always impressive. Actually, it is also quite rare, but it did not stop Detroit Red Wings prospect Lane Zablocki from doing it. The 20-year-old right winger, who was selected in the third round, 79th overall by the Wings back in the 2017 NHL Entry Draft, managed to accomplish the rare feat when he fired a shot that hit the glass and broke the puck. 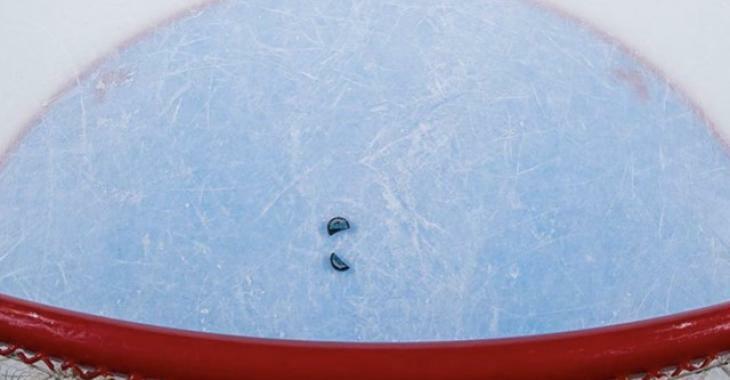 Kelowna Rockets team photographer Marissa Baecker, who took the main picture of the article, says she's never seen a puck split in two – until now. She has been working for the Western Hockey League and Getty Images for quite some time and she was amazed that Zablocki broke the puck in two. "I've seen the puck break glass, ricochet in odd directions, surprise oblivious fans, but this is the first time I've seen a puck split on a shot hitting the post," she wrote on Facebook. This incredible shot was not enough to make the Rockets win the game. The Prince George scored late in the third period to tie it up and outscored the Rockets in the shootout to take the victory and the two points. Still, quite amazing to see!